Q1) Can my business be connected to the NBN? A1) The NBN rollout is still currently underway, however many regions of North Queensland have been connected. Click here to see if NBN is available in your area. Q2) Do I have to connect my business to the NBN? A2) Not immediately. You have a 12-month grace period before your internet connection is cut off. Changing to an NBN connection can be complex and time-consuming. Byte-Wise IT Solutions can promptly handle your changeover, including connecting network systems, like alarms, surveillance and remote access. Q3) How do I find the right phone system for my business? A3) Byte-Wise IT Solutions is an Ericsson-LG dealership and Telstra Business Partner. This means we can supply a range of quality handsets and accessories for businesses of all types. Our team will consult with you to find a phone system with functions that match your business type, without exceeding your budget. Q4) What are managed IT services? A4) Managed IT services means outsourcing your business’s IT to a third party. This can be a much cheaper than hiring an in-house IT team. At Byte-Wise, we offer a range of maintenance packages to suit your business size and type. From hardware repairs and software upgrades, to network monitoring and security, our team does it all. Q5) What are the advantages of IP surveillance? A5) IP cameras offer numerous advantages compared to analog setups, including higher picture quality, video analytics, reduced cabling and the ability to customise your system to flag certain patterns. Because IP video is distributed over the network, you can also access live surveillance footage from anywhere in the world, removing the need to pay a security professional to watch CCTV screens throughout the night. At Byte-Wise IT Solutions, we offer network and surveillance system integration to keep your business running smoothly. Q6) Can you update my CCTV system to an IP system? A6) Yes. Byte-Wise IT Solutions uses encoders for the cameras you already have installed, creating a hybrid surveillance system that can be customised in the future. Q7) Do you offer remote support? A7) Yes. Our skilled technicians are available through our online collaborative portal. Q8) To what regions do you offer your services? 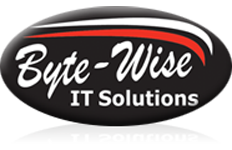 A8) Byte-Wise IT Solutions offer our services to multiple regions including – Mackay & the Whitsundays, Bowen, Collinsville, Ayr & Home Hill as well as Townsville. However, our skilled technicians can offer remote support to any location with internet access.